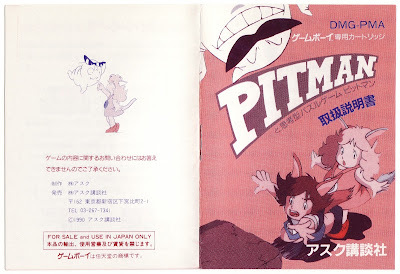 There are all kinds of reasons to own a complete-in-box copy of Asmik's Pitman, called Catrap outside of Japan. Oh, and its soundtrack is pretty nice, too. Also lovely: Pitman's instruction manual, which obviously is the focus of this write-up. 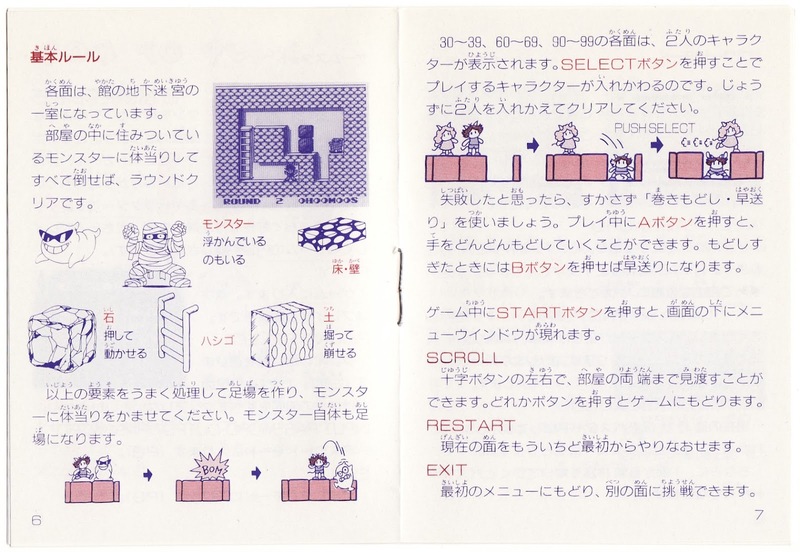 I think my favorite of the whole bunch is the one that's found on the booklet's back cover, but the ones showcased on the pages above are snazzy, too. At any rate, the Pitman instruction manual is stuffed to the gills with such art. 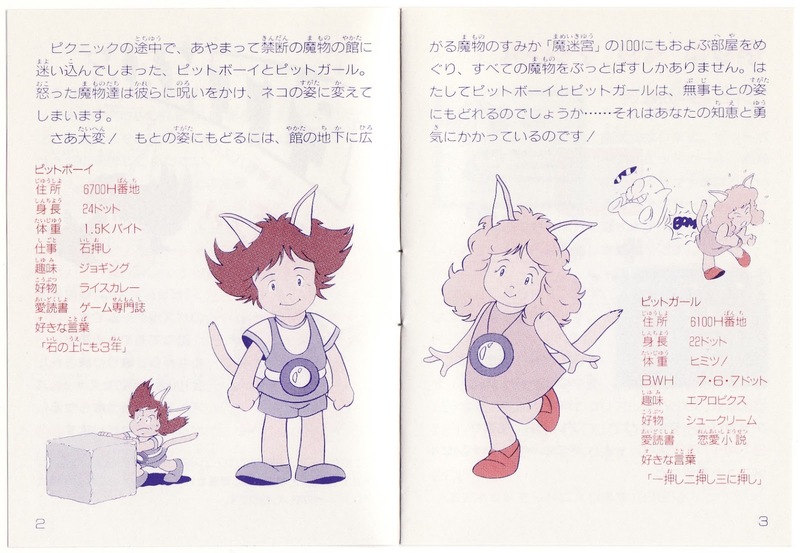 Nearly every page is home to some sort of drawing. 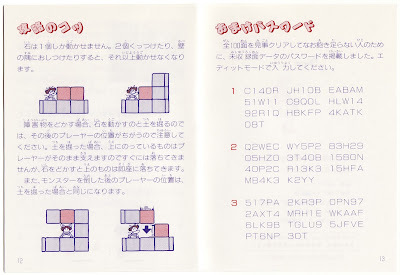 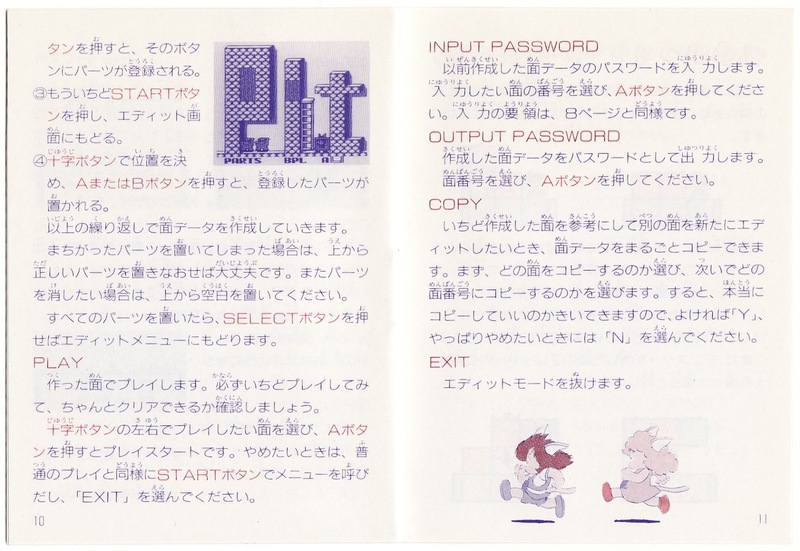 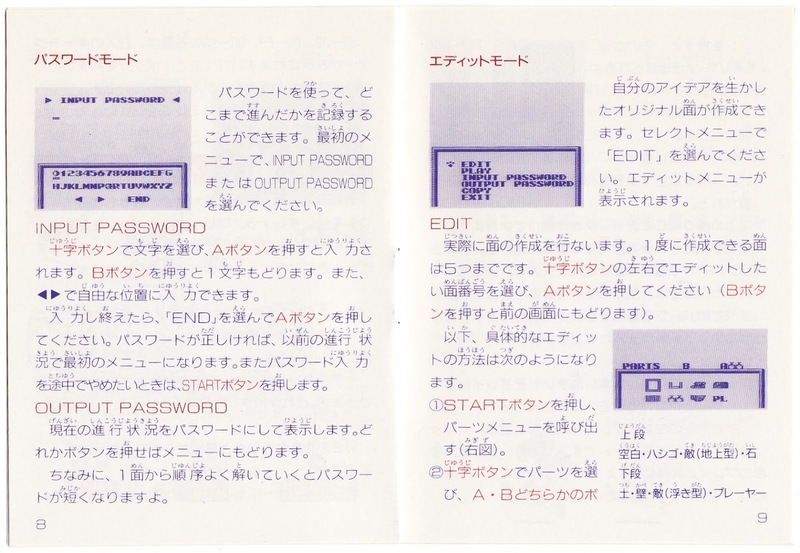 Unfortunately, the following spread, which explains how Pitman's password and edit modes work, is one of those illustration-free sections of the manual, but the one above contains a slew so don't look for me to complain. By the way, does anyone else get kind of a 1970s vibe from the art style used throughout this booklet? 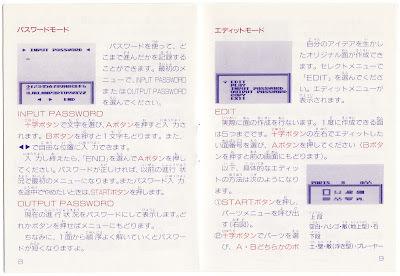 Which is funny, as I'm usually turned off by that sort of thing. 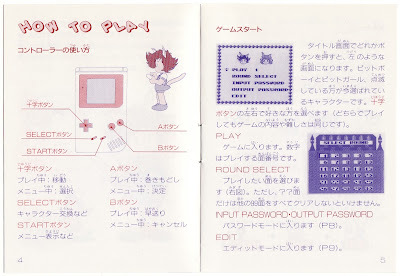 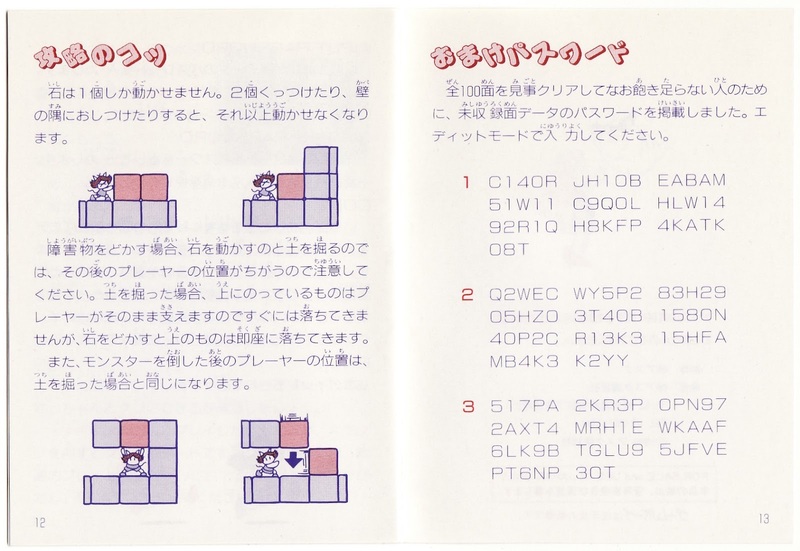 Here, though, I think it's fitting and adds to the manual's charm. So, what do you think? 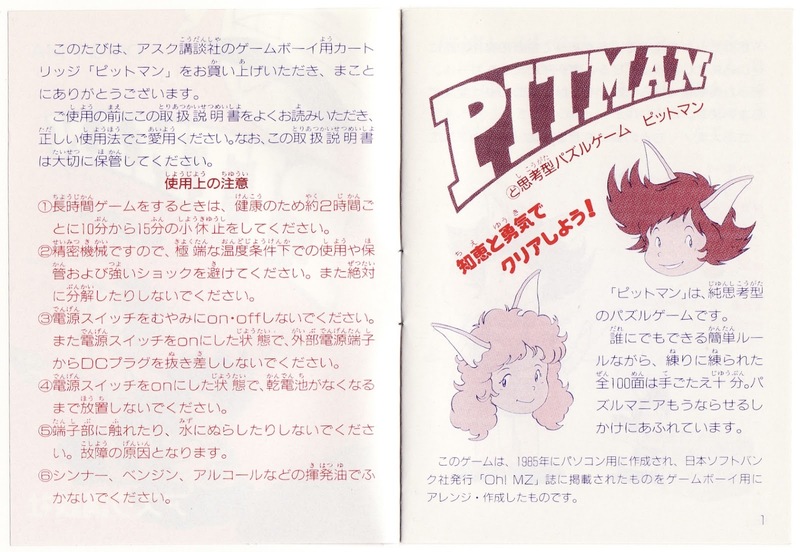 Are you now a fan of Pitman and its instruction manual, or do you think it's the definition of "meh"?